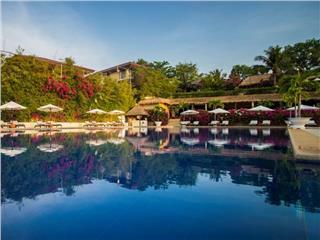 Sunshine Beach Resort is one of 3 star Mui Ne resorts. Lying on Mui Ne Beach, the Sunshine Beach Resort is an ideal place to relax and explore Phan Thiet City in general and one of the most beautiful beaches in Asia in particular. 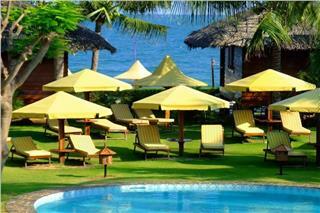 Sunshine Beach Resort is one of Mui Ne 3 star resorts located at No. 82, Nguyen Dinh Chieu Street, Ham Tien Ward, Phan Thiet City, Binh Thuan Province. This is a perfect destination for kite surfers, travelers and holiday goers alike. Sunshine Beach Resort has 20 guestrooms including 18 Deluxe Rooms and 2 Bungalow Beach Front, all overlooking the beach and coconut garden. Similar to other resorts in Phan Thiet, Sunshine Beach Resort is equipped with modern amenities and services such as bar and restaurant, BBQ facilities, safety deposit boxes, garden, outdoor pool, private beach, communication facilities, currency exchange, free car park, laundry services, airport transfer, car rental, wireless internet access, and so on. Sunshine Beach Resort has 20 guestrooms overlooking the beach and coconut garden. There are two room types including 18 Deluxe Rooms and 2 Bungalow Beach Front. Generally, all rooms are equipped with basic amenities such as air-conditioning, free wireless internet access, cable TV with movies, news & music channels (CNN, BBC, ESPN, HBP, MTV, Disney…), international direct dialing, mini bar, in-room safe, laundry services, nightly turndown service, bathroom amenities, hairdryer, and slippers. Especially, all guestroom feature private balcony and sea view. 18 Deluxe Room feature twin beds, meanwhile, Bungalow Beach Front is equipped with King Bed. To make your vacation in Mui Ne in general and Sunshine Beach Resort in particular become more enjoyable, Sunshine Beach Resort provides some recreational facilities such as garden, outdoor pool, private beach, spa and massage services. Especially, if guests are water sport’s lovers, they can rent the resort’s equipment’s to play interesting water sports such as kitesurfing, windsurfing, jet-skiing, and so on. There are also motorbikes for rent, air-station for kiteboarding. In addition, there are other nearby interesting places involving Ocean Dunes Golf Club (12 km), Sea Links Golf and Country Club (4 km), Fairy Stream (5 km), Fishing Village (14 km), Sand Dunes (15 km). To enjoy special foods and drinks, guests can visit Sea Shell Restaurant & Bar. 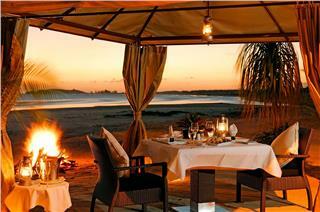 This is a beach-front hotel serving Vietnamese and Western cuisine. In Sea Shell Restaurant, guests will be served buffet breakfast from 7.00 am – 10.00 am and a la carte menu lunch and dinner from 7.00 am – 10.00 pm. Besides, do not forget to take part in tea time at the restaurant from 3.30 pm – 5.00 pm. At this time, guests can enjoy coffee or tea with cookies and special Vietnamese candy which are free of charge. Especially, there is a Daily Happy Hour program at Sea Shell Bar from 5.00 pm – 8.00 pm. In this golden time, if guests buy one, they will get one free (applied for Saigon beer, Tiger beer, and Heineken beer). Children will be free of charge or will be charged differently depending on their ages. Cancellation policy depends on room types, time of booking, and packages. Designed following traditional Vietnamese décor, Coco Beach Phan Thiet Resort imbues with the unique style to represent the spirit of privacy and well-being. 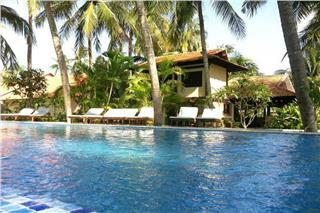 This is a good choice for guests who want to seek a peaceful and private space in Mui Ne. 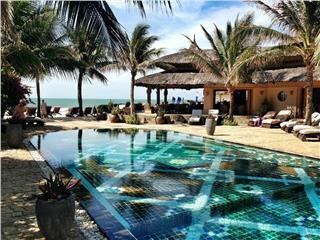 Tien Dat Resort is one of budget Phan Thiet resorts with the room rates from USD 47 – 104. The resort provides up to 10 room types to meet different requirements of guests. All room are well-appointed with modern amenities and services. 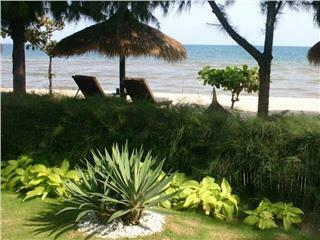 Sunsea Resort is one of romantic and relaxing resorts in Phan Thiet. Conveniently located in a favorable location, Sunsea Resort is a great base to explore the beautiful city. The resort is closed to many restaurants, bars, shops, and local attractions. Cham Villas Boutique Luxury Resort is considered as one of best 4-star resorts in Phan Thiet. With excellent services and well-appointed facilities, Cham Villas has satisfied travelers visiting Phan Thiet, even if the most demanding ones. Princess D'Annam Resort & Spa is a luxury vacation spot in Phan Thiet. 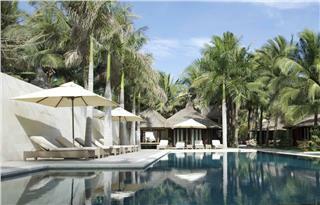 It is the first resort full of villas in Vietnam with best services. Just paying from 239 USD per night, guests can have wonderful time with family and friends in summer vacation. Just paying from 215 USD per night, you can enjoy a wonderful holiday in a 5 star resort – Anantara Mui Ne Resort & Spa with best services. In addition, you have chances to explore fishing villages, life of local people, and tasting unique local cuisine. 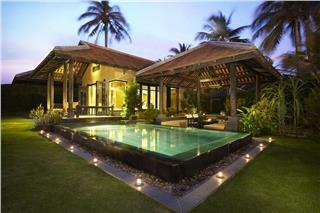 Mia Resort Mui Ne is one of best resorts in Phan Thiet featuring tastefully-design bungalows and villas. Comfortable and spacious bungalows and villas will provide travelers beautifully designed furnishings and indigenous décor to enjoy their holiday. 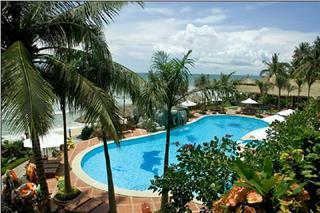 Victoria Phan Thiet Beach Resort & Spa is located 200km north of Ho Chi Minh City, along the Southern Vietnamese coast. The resort has provided guests an idyllic location for a relaxing stay with a wide selection of recreational activities.